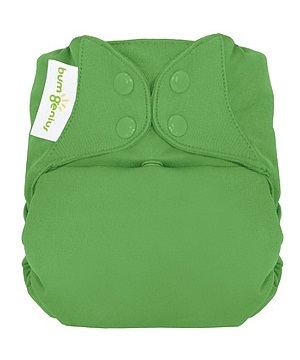 Looking for organic, natural fibers next to your baby’s bottom ? 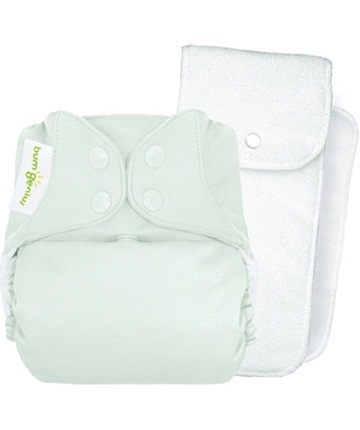 One-size bumGenius are now available with luxuriously soft, 100% organic cotton inside. Organic, One-Size... affordable ! 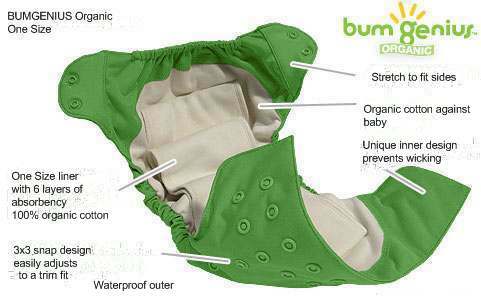 bumGenius one-size nappies are designed to fit most babies between 7 and 35 pounds. Economic as you can use it from birth to potty training. 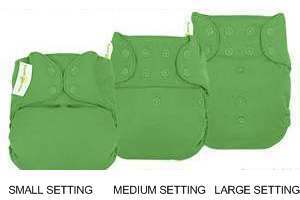 Use the snaps on the front of the nappy to adjust the size if needed. Then put the nappy on your baby. Wash, dry and re-use. No extra steps. 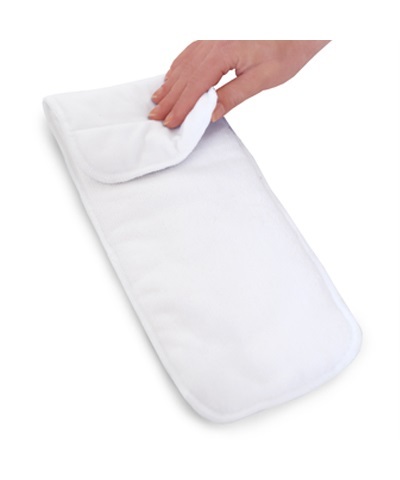 No stuffing (absorbent layer is integrated). No cover required. It really is as easy to use as a disposable nappy. 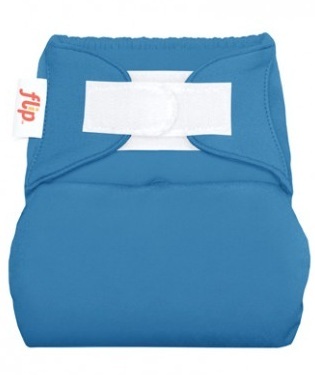 Material : waterproof outer made of polyester - absorbent inner made of 100% organic cotton. Suitable for a day use. Care : Shake solids into toilet and store in dry pail. You can wash first in cold water with no more than 1/4 (high efficiency machines) to 1/2 (regular machines) of the recommended detergent. You should only use detergents that are free of dyes, enzymes, perfumes, whiteners and brighteners. Then wash in hot water with same quantity of detergent. 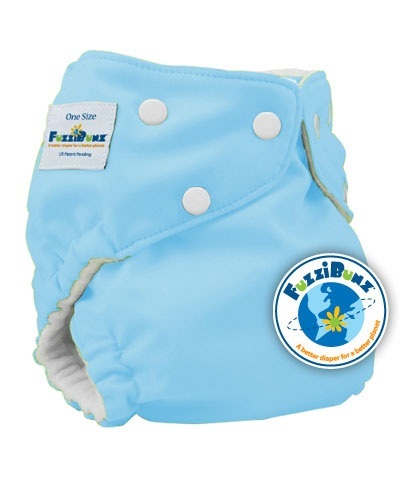 Optionnally add an extra rinse to remove any lingering detergent in the diapers. Do not use fabric softeners or vinegar. 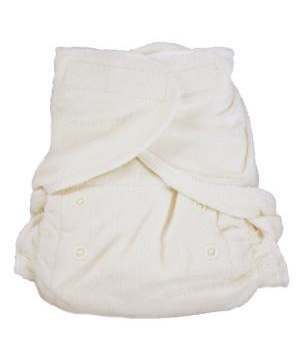 * If you use rash cream, always use a stay-dry liner or a piece of fleece between your baby's bottom and the diaper to prevent the cream from transferring onto the diapers.